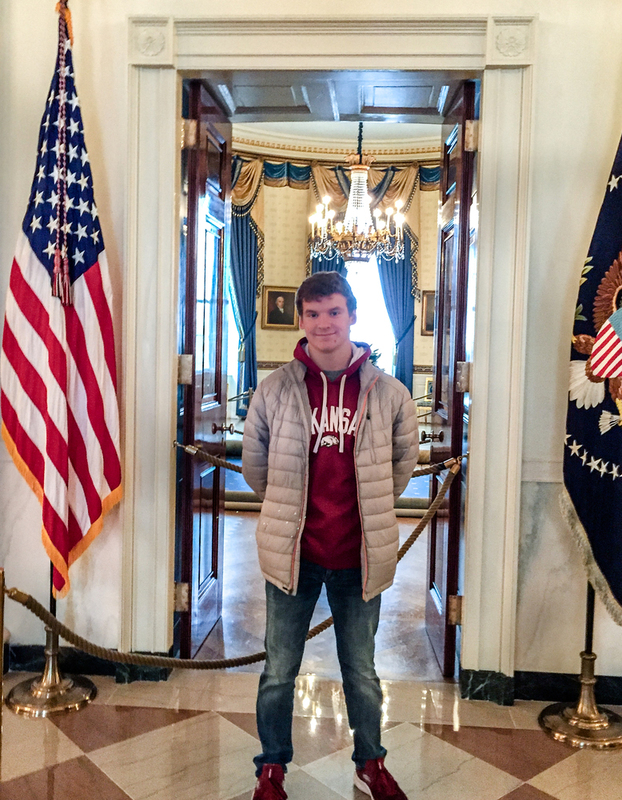 A member and sponsor from Bald Knob Jobs for the Arkansas’ Graduates organization recently attended the 2018 Jobs for America’s Graduates Student Leadership Conference held on November 15-17 in Washington, D.C. In order to qualify for an all expense paid trip to DC, students had to enter and win at the AR JAG Student Leadership Academy in Little Rock earlier this year. Senior JAG member, Drew Langford attended and competed in the Math Skills division where he received first place. He and his sponsor, Cheryl Burns, JAG Specialist, participated in the conference whose theme was “Taking JAG to the Next Level.” While in D.C., they attended an awards luncheon honoring JAG Alumni, team building/leadership sessions, and met many other JAG members. During the conference Drew competed in the JAG National Math Skills Event. Some of the highlights of the trip included visiting the White House, FBI Headquarters, Senator Tom Cotton’s office, the US Capitol, and taking a JAG state photo on the U.S. Capitol steps. Other sites visited included Arlington National Cemetery and the National Monuments. A visit was made to the National Mall and several of the Smithsonian National Museums. The JAG members left the conference energized, empowered, and committed to be leaders in the workforce and communities.